April 6, 2019 Jitkae Thepchatre, M.D. Dietary habits account for up to 1 in 3 of all factors related to increased colon cancer risk. Grilled foods tend to result in fats dripping onto the coals which then produces smoke containing chemicals capable of causing cancer. If such foods are eaten regularly, those chemicals will accumulate in the body, leading to chronic inflammation that may eventually develop into colon cancer. Seafood is usually contaminated with the chemical preservative formalin which, if consumed in large enough amounts can result in its accumulation in the body, and negatively affect liver, kidney and heart function. Furthermore, the consumption of raw seafood can increase the risk of heavy metal intake, another potential cause of cancer. It is very well known that various forms of food have cancer resistant qualities, but on the other hand, there are also many types of food that can increase the risk of cancer, especially colon cancer. Although statistics show that 9 out of 10 colon cancer cases occur in people over the age of 50, our dietary habits account for 1 in 3 of all colon cancer risk factors. The following 5 popular dishes are unfortunately also the most culpable in stimulating the development of cancer cells. 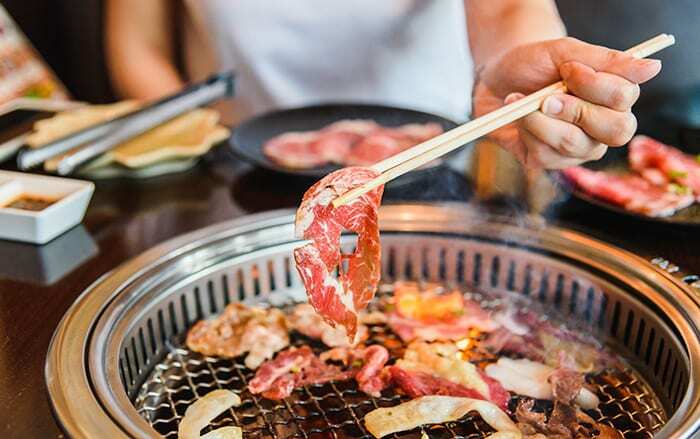 Wagyu BBQ beef and Kurobuta BBQ pork: The greater the amount of fat that remains on the meat, the better the taste for these hugely popular dishes. However, they are capable of increasing our colon cancer risk because, aside from the high levels of saturated fats they contain, beef and pork are examples of red meat which consists of hemoglobin, commonly referred to as ‘heme’. If this substance is consumed in large amounts, it can stimulate cancer cell growth, while the grilling aspect of the cooking process also means that fat is likely to drip and create smoke containing polycyclic aromatic hydrocarbons (PAH), a cancer causing chemical. If such foods are eaten regularly, it will lead to PAH accumulation in the body that could result in chronic inflammation, and eventually colon cancer. Thus, if these are dishes that you absolutely love to eat, or just cannot avoid for some reason, do make sure to cut off any burnt parts before consumption. Even so, grilled foods that have become charred should definitely not be eaten in large amounts or too regularly. Papaya salad with crab and fermented fish: This famously pungent dish causes many Thai people’s mouths to water at the mere mention of it, but many of its ingredients contain chemicals which increase the risk of cancer, including dried chilies, garlic which molds easily, salted crab and fermented fish. If these ingredients are not cooked properly before being added to the dish, they could still contain trematodes or parasite eggs that can live on in the body of humans, and these parasites are a major cause of liver cancer. More importantly, it has been found that the fish fermentation process involves adding saltpeter to improve flavor, which consists of nitrosamines, a chemical believed to be an extremely crucial component in the development of cancer. Hence, raw fermented fish should be avoided because of its potential to increase the rate of the aforementioned cancer causing chemicals being ingested into the body. Seafood with seafood dipping sauce: Raw seafood usually contains the chemical preservative formalin which, if allowed to accumulate in the body, can negatively affect liver, kidney and heart function. Be sure that your seafood is properly cooked by either boiling or steaming, making sure to avoid the grilling process where possible. However, eating raw or cooked seafood increases the chances of heavy metals entering the body, which can also increase the risk of colon cancer. Tuna and mackerel both contain high levels of heavy metals, so the best option is to select seafood which is less likely to be contaminated with these substances, such as salmon and shrimp. All types of yum (Thai spicy salad) dishes, including sour pork yum, sausage yum and mama noodle yum: These fiery dishes sold at markets up and down the country are popular with people trying to lose weight as they believe that eating yum can fill you up without the inclusion of rice in the meal. However, ordering a yum full of various types of processed ingredients significantly increases cancer risk. The International Agency for Research on Cancer (IARC) – a department of the World Health Organization (WHO) – has found evidence which confirms that smoked processed meats, pickled foods and numerous types of food preservative are likely to be contaminated with cancer causing chemicals, particularly those capable of leading to colon cancer. Additionally, these foods consist of sodium nitrate and sodium nitrite, both of which are factors behind the onset of colon cancer. Thus, if you wish to eat yum, you may want to instead choose a fruit version that does not require adding any extra salt, garlic or roasted peanuts because, although this may not sate your appetite for something hot and spicy, it could play a part in reducing your long-term risk of developing this deadly disease. Banana fritters, Chinese donuts and deep fried chicken: These deep fried, crispy treats come in bags suitable for sharing at work. However, the chemicals contained in these snacks could potentially result in cancer cells due to the oils in which they are fried being exposed to high temperatures over a prolonged period. This is especially the case when that oil has not been changed between frying cycles, resulting in the buildup of polycyclic aromatic hydrocarbons (PAH) capable of causing cancer. Frequent consumption of foods containing these chemicals leads to an accumulation within the body, so always remind yourself that eating deep fried foods not only results in excess weight due to the high fat content, but can also increase your risk of cancer. Keep deep fried food consumption to a minimum, or avoid it altogether for best results. If you simply cannot resist the temptation, at least try to find a purveyor that changes their frying oil daily. Although it is true that delicious food can be a source of happiness, reckless over consumption of the aforementioned dishes could, in fact, lead to a greater risk of health disorders, especially with regard to deadly diseases like cancer. 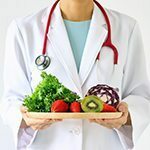 Choosing a healthy, balanced diet, including plenty of clean, fresh foods that are free from bacteria and contamination, as well as being sure to cook them properly according to industry standards, avoiding high fat dishes and overly seasoned food, can all help you reduce the risk of developing colon cancer. 5 of the Most Delicious Dishes that Increase Colon Cancer Risk Grilled foods tend to result in fats dripping onto the coals which then produces smoke containing chemicals capable of causing cancer. If such foods are eaten regularly, those chemicals will accumulate in the body, leading to chronic inflammation that may eventually develop into colon cancer.